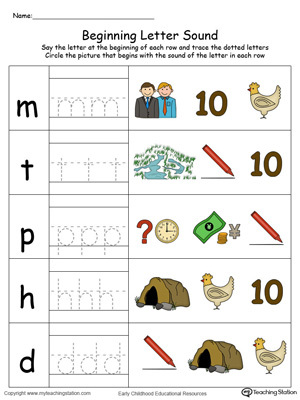 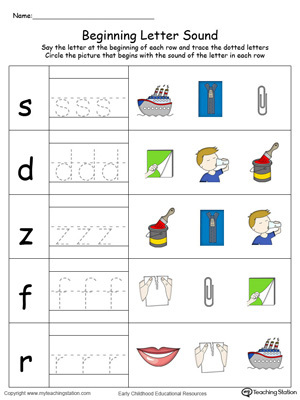 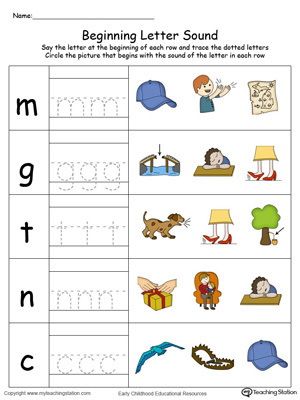 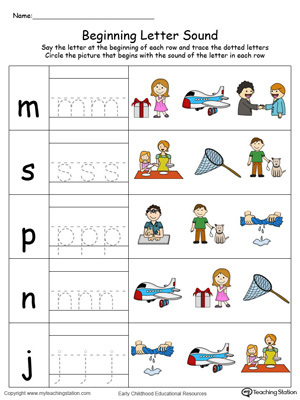 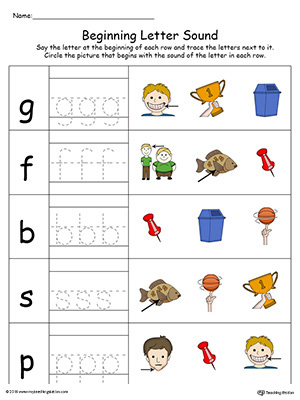 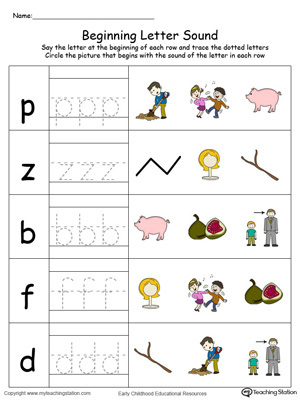 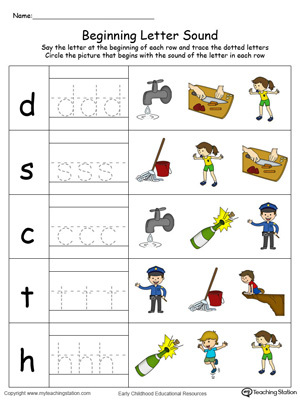 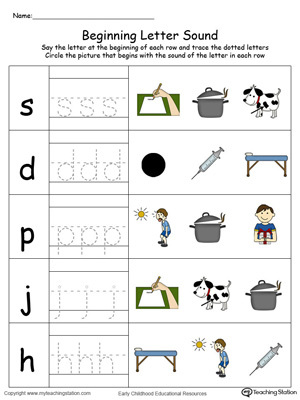 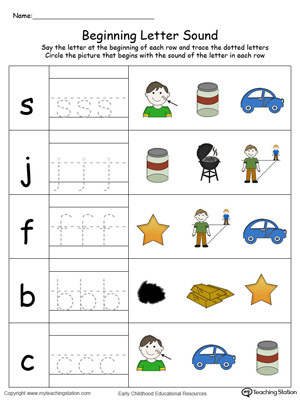 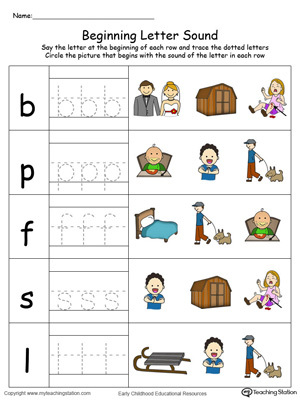 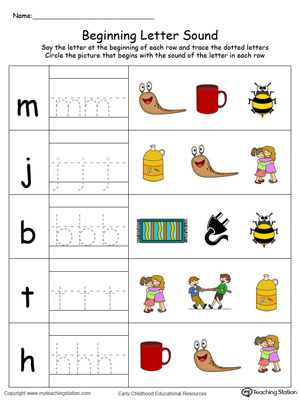 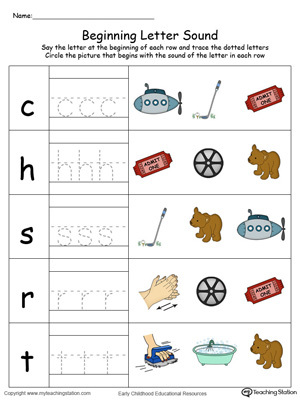 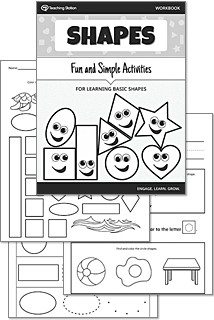 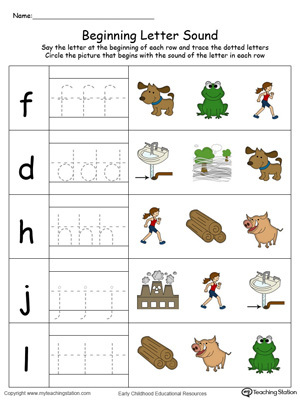 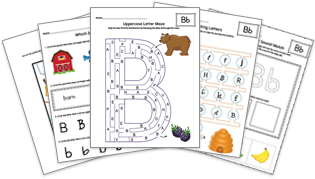 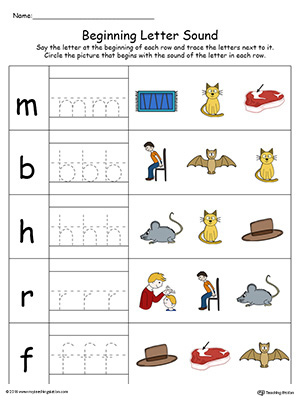 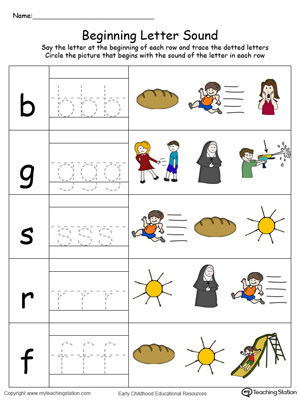 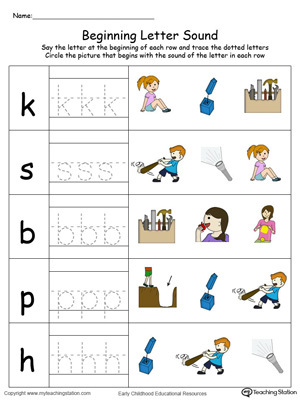 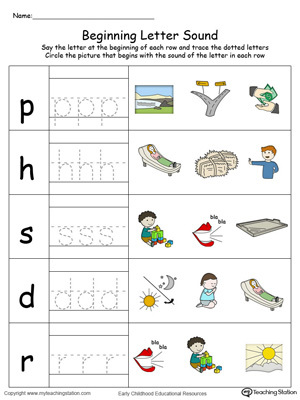 Help your child learn to recognize the sounds and letters at the beginning of words with this picture and letter match worksheet. 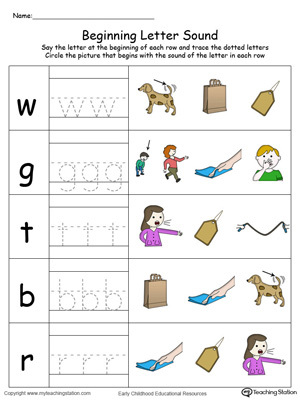 To complete this exercise your child should say the letter at the beginning of each row and trace the letters. 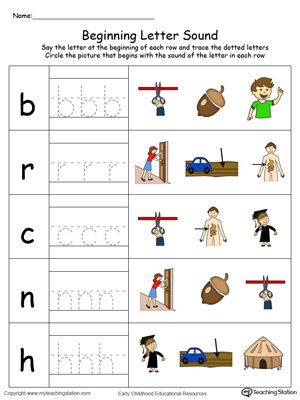 Finally, they should identify which picture matches the beginning sound of the traced letter by circling the picture.